First there was Intel, now another "big name" in the embedded computing sector followed Arduino’s footsteps launching a new platform designed for open hardware enthusiasts: it’s the taiwanese company VIA Technologies, which introduced a new line of open hardware kits under the brand VIA Springboard. All circles around the VAB 600, a little board (7 x 10 cm) based on an ARM Cortex A9 800 MHz processor, quite similar to the CPU inside the first generation iPad mini. Like Intel with Galileo, VIA Technologies designed a board with plenty of interfaces and functions, if compared to the traditional Arduino minimalist approach. 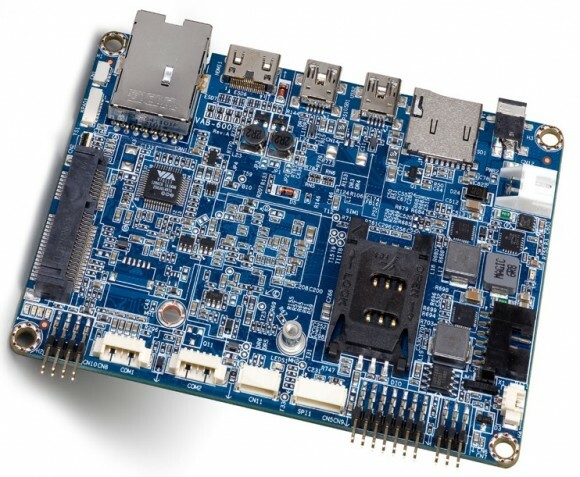 Without expansion modules, the VAB 600 can support a wide range of open hardware applications thanks to one Mini HDMI port, two Mini-USB ports, one Fast Ethernet LAN interface, two COM ports, one MicroSD slot for storage card, 4 GB of flash memory, 1 GB of system DDR3 RAM, video playback up to 1080p resolution and one slot for SIM modules. If it’s not enough, you can add other options via two expansion modules. The VAB-600-A I/O Extender Card, a daughter card connected directly to the main board, adds audio I/O, two standard USB ports, a power on/off button and a led power indicator. 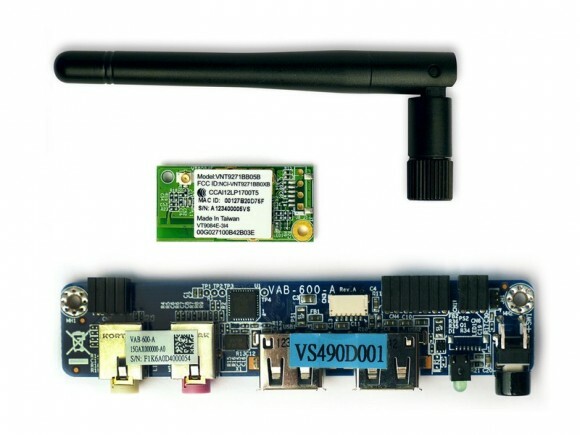 The VNT9271 Springboard USB WiFi Module let the VAB 600 board communicate via Wi-Fi 802.11b/g/n. The new VAB 600 can be configured with Android 4.0.3 or Linux Debian (no, it's not compatible with Arduino). For both operating systems VIA Technologies provides a free Software Development Kit. The VIA Springboard Kits can be purchased directly. A base kit with the VAB 600 board and the daughter I/O board costs $99, $30 more and you can get the complete kit (with the Wi-Fi module).